So Mark, we hear that you celebrated Vale’s LDV Final win whilst wearing your Port Vale slippers – can you tell the onevalefan readers any more? Oh yes, I bought the slippers from the club shop a few weeks ago along with a flag and baseball cap. The reason was Nick Hancock was my guest sitting in for Ian Wright on our Radio show, so I wrapped up the slippers and gave them to Nick as a thank you present after the show. As you can imagine once the wrapping paper came off Nick read the script and said ‘Oh yeah and you really think I’m going to wear these do you?’ and gave them straight back to me. That’s why I bought them in my size, I anticipated his move, he’s so predictable! In an early Port Vale programme interview, you say – your favourite moment whilst at Vale was scoring your first goal against Hereford. 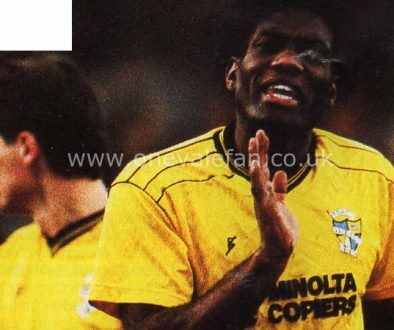 Is that still your favourite Vale moment and how do you recall it? I came on as a sub and won a free kick straight away, as we all made our way up to the 18 yard box I didn’t know where to go for the set piece, Robbie told me to just make a run to the near post. Russell Bromage curled it into the penalty area and I jumped in front of the goalkeeper and got a brilliant touch to it and the rest is history, although I didn’t really know how to celebrate because it was my first goal. It’s still one of the best memories of my career. Our research tells us that you joined Valiants from Leek Town. Was it an easy decision to make the step up to league football and at the time did you ever envisage having such a lengthy and successful career? I was at the Vale as a schoolboy but got released and went to Leek Town. After a season or so there I was asked to go back on a semi professional basis. Lots of people told me I was wasting my time and the Vale wouldn’t sign me permanently because I was too old, but I worked hard and believed in myself and it paid off. No player can predict a long career because injuries play such a crucial role in football. But I have been lucky and I appreciate every minute of it because I worked in an engineering factory for five years before football, so I feel I made the best of my chance. 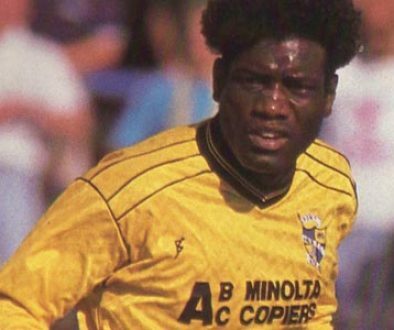 Which players influenced you when you were at Vale Park – in particular how scary was it partnering the mighty Big Bob Newton upfront? Quite a few people had a great influence in my early years at Vale: John Rudge: (more about him later) Russell Bromage: He was great, helping me out and encouraging me all the time. The great Ernie Moss: probably the last of his generation, a professional player’s player. He set a great example whether in training or in matches. He had a great attitude, application and work ethic, never missing an opportunity to help to improve me as a player. Barry Siddall: He once came to watch me in the reserves without me knowing, after the game I always remember one thing he told me, he said there were lots of scouts in the directors box and you did well. Always give your best no matter what the situation because you never know who’s watching, advice I always repeated to younger players at every club I’ve played at. As for Big Bob, what can I say? Personalities are a rarity in football these days, not then, he was a one off and he had a great season in the promotion year scoring around 25 goals if I remember correctly. He was great to play alongside because all defenders were scared of him. He used to say if ‘anyone threatens you just let me know’ – what else could you ask for in a strike partner? What was the funniest thing that happened to you whilst you were a Vale player? The usual thing when you’re one of the younger players – the senior players said to me that the manager Big John McGrath wanted to see me in his office straight away. He always kept you in his office for ages once you went to see him and he talked my ears off. He was fantastic to me and I was really saddened to hear of his death. 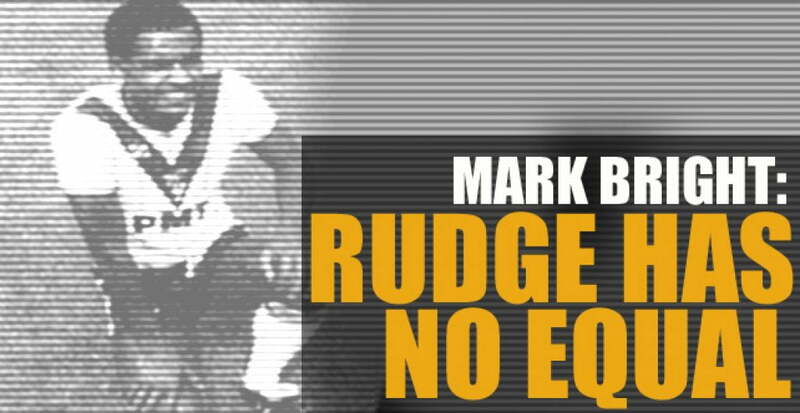 Robbie Earle said that John Rudge often had yourself and Robbie back for extra training sessions and this helped to develop both your games – what influence did the great Rudgie have on your career? You don’t have enough space on your website for the compliments I could pay to Sir John. No one man at any club in the country has put more time and effort into individuals like John did with Robbie, Andy Shankland and I. 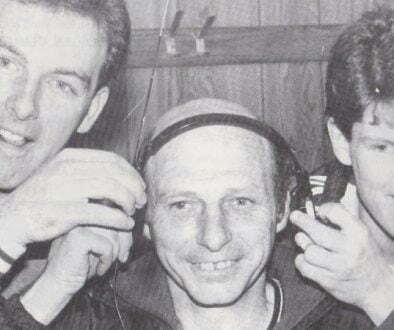 It was a shame for Shanks because out of the three of us, I’m sure Robbie would agree, Shanks was the best player. Unfortunately his career ended with ankle problems, I believe Shanks would have played for England that’s how highly I rated him. Anyway, John used to say if he was paid by the hour for the time he’d put into Rob and I then he’d have been a millionaire by now. He was right. Needless to say he stands alone when it comes to laying the foundation that both Robbie’s and my career’s were built on. I’ve had some great coaches and managers in my career, but on a one-to-one basis, there is no equal, I think you know what I’m saying Vale fans. You never played against the Vale in a competitive fixture – is this a regret or are you grateful about this? I was due to in the promotion season when I was at Charlton. I was so gutted when I pulled a muscle in training and I had to miss the trip to the Potteries. My family were all due to go to the match. When the players returned they said that the Vale had battered them and Charlton were really lucky to get a result. So it’s a really big regret of mine. In the latter stages of your career would you have liked a second spell at Vale? It was something I never really thought about, the offer never came, so I was never in a position to turn it down. After their run in the latter part of the season – are Vale a good bet for promotion next season? It’s always hard to say because at one stage I thought the Vale were going down, but winning the LDV and a great final quarter to the season who knows with a couple of new signings. Any message for the loyal Vale following on the Internet? Yes, no matter what’s happening off the pitch remain loyal to the players on it, I can tell you when the boys on the terrace’s are cheering you on it makes all the difference. What are your thoughts on the onevalefan website? Does an independent supporters’ site like this one play an important part in allowing fans to have their say? Yes, it is important because too many sites are one sided and continually moan at the team. What I like is the players and managers involvement, it means something to the site, it gives it credence. Keep up the good work, I’ve got it stored in my favourites section on my computer. You’re forging a successful career in the media – when can fans hear the popular Wright and Bright show on Radio Five and why should they listen to it? Make a date for some fun every Saturday morning 11am until 12.30 on Radio 5 live 909/693 MW. We interview the Premier League’s big names in the game, run competitions, mess about, take calls from you the fans and give away Wright&Bright Tee shirts by the bucket loads. I want some Vale fans on asap. We also run competitions on our web site and archive interviews, just go to our site and enjoy yourself. Rob Fielding would like to thank Mark Bright for taking the time to answer these questions.